Need just the two seats, don’t care about windows but care loads about the environment? 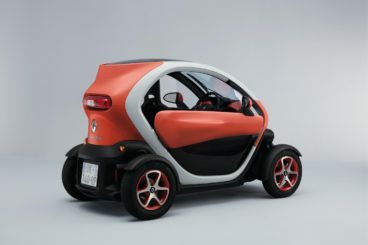 The new Renault Twizy Coupe is an unusual one, alright. Not only does it emit zero CO2, it looks like a golf cart and has no cabin heater! On the plus side, it’s compact, sprightly and costs little to run. It will also catch everyone’s attention when you rock up to work in it, and has more practicality and protection than a scooter. It’s limited, but if you want a greener way of getting to work, want to stand out from the crowd, and need just two seats, it’s got pretty much everything you need. Moreover, it’s a huge amount of fun. OSV takes a closer look at what it’s all about with our 2017 Renault Twizy Coupe review. The thing with the Twizy is that it’s a novelty. And what’s that saying about the novelty soon wearing off? Patience can also quickly run thin here, thanks to the absence of windows and an overly firm ride. However, some comfort is provided by the chassis, which has been developed by Renault’s ever dependable team of engineers. The car’s shape looks like it should prove a problem – it’s tall, short and narrow. Surprisingly, it doesn’t cause the kind of problems you’d think it would, and the Twizy is instead grippy and stable in corners. The fact that you’re able to approach bends at a decent pace is down to the suspension setup, but this setup is a double-edged sword that has its pros and cons. Is it the biggest con? It can’t cushion you very well from even the smallest of bumps. A smooth ride, this ain’t. And without smooth roads, any love and affection you had for the car could soon wear off. It could prove to be the kind of cheap novelty you find in a Christmas cracker – within five minutes, you’re bored of it and grandma’s somehow cut her finger on it. That said, there is no denying that the Twizy Coupe is good to drive. Its electric motor develops just 17bhp and starts at the touch of a button on your dash. Press it and you’re away. Although the motor isn’t exactly powerful, the fact that the car weighs just 450kg means that it’s agile and super responsive. Getting up to its top speed of 50mph is easy, which will stand you in good stead for a bit of city car driving. 0 – 30mph is reached in 6.0 seconds, while the 18-37mph stretch is done in around 8.1 seconds. As you can tell, it isn’t fast, but it’s got enough about it to keep up with traffic. And while the car is allowed on the motorway, we’d probably avoid it if we were you. Things could get scary out there for what is basically a beach buggy. The absence of windows will present a bit of an issue in Britain, where it seems to rain every day. However, thanks to the roof you do get more protection from wind and rain than a motorcycle. That said, there is no insulation, so wind noise will be a problem. The whirr of the electric motor at higher speeds (it’s much quieter at lower speeds) will also be an issue, while the cabin comes without a heater. It’s not exactly one for those cold winter mornings when the commute to work will become an even bigger chore. In the warm sunshine, however? It could prove to be the most fun you’ll ever have on a budget. Surprisingly, interior space is good. The driver’s seat sits on rails and can slide backwards and forwards to improve legroom for the sole rear passenger who will otherwise be cramped back there. It could turn out to be the most bizarre car share ever. The dashboard is as basic as basic does. We like its blue-lit LCD screen that sits behind the steering wheel, while a few buttons sit to the left. Because the car has to be waterproof, there are no soft-touch plastics. Instead, you get lots of harder, scratchier surfaces. In terms of how practical it is, the Twizy fares poorly. It measures just 2.34 metres in length, but thanks to its half-height doors, roof, as well as four wheels, it can offer more stability and protection than a motorcycle. In essence, it’s a more usable scooter. Two glove compartments are standard on all models, and there is a good amount of headroom for even taller passengers. However, the entry-level and mid-range models miss out on a boot, which means the glove compartments and a 31-litre storage cubby are all you have. That said, for anyone who needs a more usable scooter, that amount of storage space will be fine. Standard kit is pretty basic, but each model gets a heated windscreen, a driver airbag and an engine immobiliser. The Dynamique model adds a choice of different paint finishes, alloys, and floor mats for the front and back. The Cargo model rounds things off with a boot instead of a rear passenger seat. The optional extras list is filled with the weird and wonderful, including blankets (ha), and an anti-lift alarm (just in case someone wants to pick your car up and carry it home with them). Doors are also optional (bet you never thought you’d have to specify doors when buying a car before!). Quite why blankets aren’t standard is anyone’s guess. Safety-wise, despite being a quadricycle, and thus not having to meet the usual minimum safety requirements that a car has to, the Twizy Coupe has been crash tested by Euro NCAP and, although we have no actual score for it, it was the best performing quadricycle that was tested. However, it won’t offer as much safety as a conventional car, although seat belts and a driver’s airbag are standard. Prices for the new car start out from just £6,895 and rises to £7,595. If you prefer to lease, you can pick up a deal from £150 + VAT per month. For more information on our leasing deals, check out our page here. In terms of its running costs, charging its batteries costs a quid. A single charge can keep going for up to fifty miles in warmer temperatures, but just 30 when it’s colder. If you use a household socket, charge time will take as much as 3 hours and 30 minutes. The biggest headache is the cost of the batteries. Their shelf life is short, but Renault do offer a lease scheme that will set you back £45 per month. So while there is no road tax to pay, the price of the batteries kinda offsets that a bit. On the other hand, the car is exempt from the London Congestion Charge, and it can be parked for free in spaces that are free to EV cars. If you want to stand out from the crowd and make a statement, there is no other car like this. There are zero emissions, so you’ll be doing your bit for the environment. When the sun is out, you’ll be happy you bought this compact car for the commute to work. It costs almost as much as a Smart ForFour – a car that has more seats, doors and windows. Moreover, the cost of leasing the battery is an issue. If safety is a priority of yours, you’d be better off looking elsewhere. With no windows or doors, the Twizy is exposed. Since the quirky Renault Twizy Coupe has no direct rivals, we’re going to compare this windowless quadricycle to a pair of trailblazing EV motorcycles – the Zero FX and FXS. 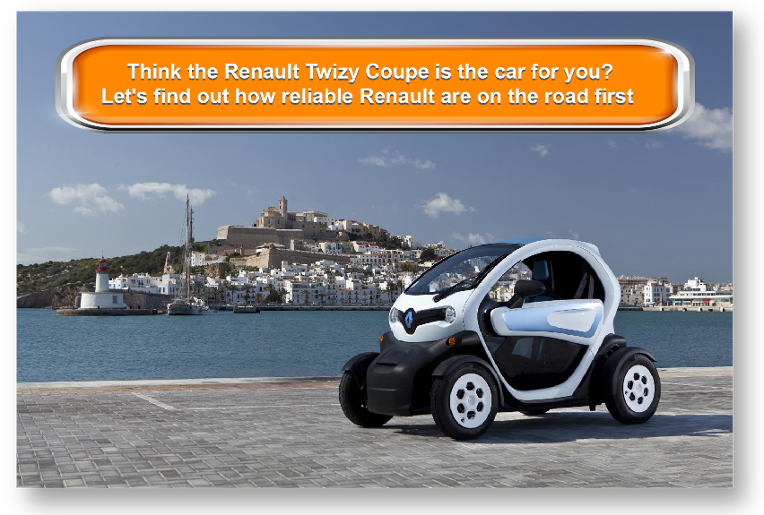 Let’s see how it gets on in the comparison section of our 2017 Renault Twizy Coupe review. Where the FX is built for off-road, the FXS is more at home on the road. Apart from that, they have a lot in common. They’re both all electric, and they both have more horsepower and torque than past incarnations. 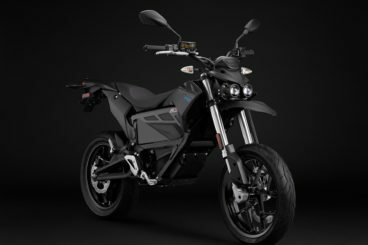 In terms of their design, both models look like your typical dirt bike on first glance – a look which the body of the chassis contributes to. Both come with robot eyes, dual-lens headlight, as well as a three-tree mount front mouthguard. Where they differ is in terms of their wheel sizes. Because of this, seat height also differs. The FXS has a seat height of 32.9”, while the Zero FX has a seat height of 34.7”. As result, the suspension travel varies between the pair. And while the tyres also vary, both bikes have a strong centre of gravity that has resulted in nimble and agile handling that gives you lots of confidence at lower speeds. The brakes for each bike also differ enough to be worth a mention. Each bike gets a single piston and a 240mm disc, but whereas the FSX gets a 320mm disc up front, the Zero FX gets a 240mm variant. Each model comes with a Bosch Gen 9 ABS that gives you a safety net that means you can use those brakes to their potential. In terms of the drivetrain, the propulsion system is to be expected. It offers a few options which impact charge times and performance. The good news is that each model gets modular systems which allow you to swiftly change the batteries without any hassle. This will prove especially handy when you’re in a hurry. You can charge the batteries off or on the bike, and how many batteries you store depends on how many modules you think are necessary. Life expectancy is decent for each bike if you choose the less expensive ZF3.3 power pack – up to 100,000 miles. Opt for the more expensive ZF6.5 power pack (which will set you back an extra £1,500) and you can almost double that time. The smallest of the two power packs delivers around eighteen miles at seventy mph. If you stick to town speeds, you can get 45 miles out of it. Go for the bigger power pack, and again you can double your money. How long it takes to charge a battery is dependent on how many accessory chargers and batteries you have. The smaller ZF3.3 should take just under 5 hours to do a full charge if you use the onboard charger, but if you use the maximum accessory chargers you can get it done in less than two hours. The ZF6.5 packs, on the other hand, take forever to do a full charge unless you use the max accessory chargers, which again cuts charging time down to under two hours. 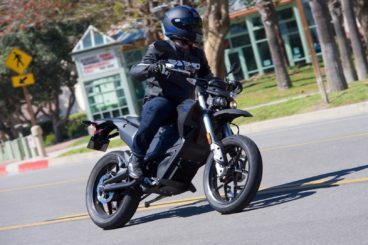 Top speed for both bikes is 85mph, while regenerative brakes serve to increase the range a tad by sending juice into your the tank when you ease off on the throttle. In terms of pricing, you can pick them both up for around £7,000 if you choose the most affordable ZF3.3 battery pack. You can add two accessory chargers at the most, and they cost around £480 each to run. Like a scooter with a roof and a back seat, the new Twizy is an EV for the modern green-minded buyer who dares to be different. It’s got a keen sense of fun, emits no emissions, and will get everyone talking. Is it usable? It’s more usable than a bike, but without a boot, it’s a lot less practical than your standard city car. However, it’s all about priorities. 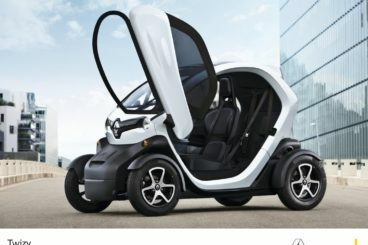 If you don’t mind paying a tiny bit less than you would for a regular city car to get an environmentally-friendly, trailblazing, and utterly unique EV without windows and doors, the new Renault Twizy Coupe is a fascinating choice.